Worth every penny! Colors are just as they appear online, bright green and blues with a beautiful medium gray and cream. The rug feels super soft and thick. Definitely fun and makes quite the statement. Would highly recommend! Channel your bohemian side with this hourglass area rug. 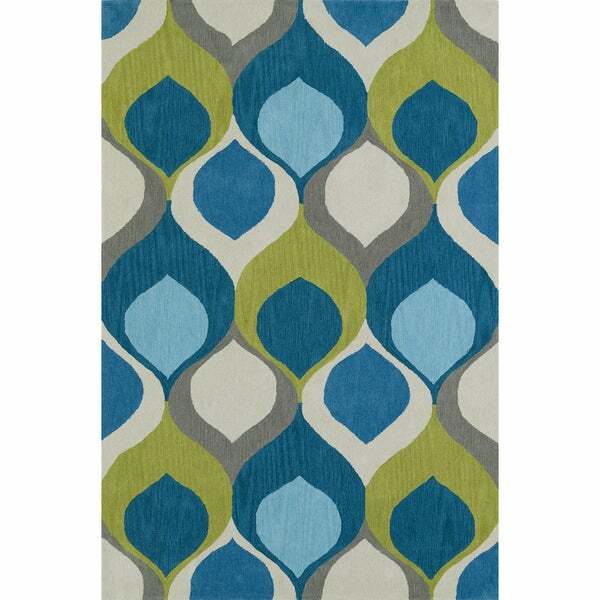 The geometric pattern in teal and lime green adds colorful flair to your decor, and the plush pile softens hard floors. 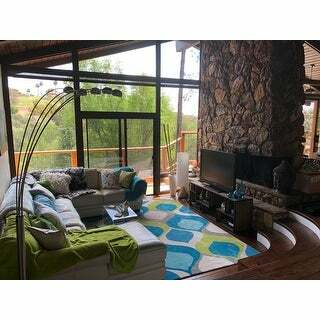 Absolutely beautiful, colorful, comfy area rug to give a modern look. Very well made with no shedding when vacuuming. Already cleaned well after a pet accident.